In my last two posts I introduced my TOP contemporary books and novellas, so now is time to take a look at my favourite genre – fantasy and sci-fi 🙂 It was hard to choose just 10 books because I read oh so many fantasy stories this year, hence, I decided to double that number and just fangirl over 20 books instead. Not to make this post too long, I will just in few words introduce each book and add picture and synopsis from Goodreads 😉 However, there is one rule that on this list can be only one book per series, so you will find my favourite book from each series here but no matter what synopsis will be from the first book just to avoid spoilers. 20. An Enchantment of Ravens by Margaret Rogerson (4 stars) – an enchanting YA fantasy romance debut with magical and dangerous world of faeries. 19. Sweet Reckoning (Sweet, #3) by Wendy Higgins (4 stars) – a dangerously sweet and a bit dark YA paranormal romance with angels, demons and their children playing their cruel jokes on unsuspecting humans. *Note. The synopsis is of the first book in this series. 18. Never Fade (The Darkest Minds, #2) by Alexandra Bracken (4 stars) – an action packed YA dystopian romance. I would have gone with book 3 in this series but… I don’t want to think and talk about it, my heart was shattered and never restored, hence, this series isn’t higher on this list, just because my heart couldn’t take it. *Note. The synopsis is of the first book in this series. 17. The Afterlife of Holly Chase by Cynthia Hand (4 stars) – a light, fun and Christmasy YA retelling of ‘A Christmas Carol’ with smidgen of romance and magic. This one is so low on the list because I would have preferred a bit different ending. 16. 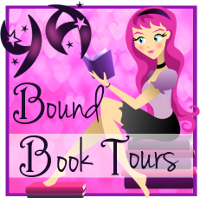 Alienated (Alienated, #1) by Melissa Landers (4 stars) – a cute YA sci-fi romance with aliens and planetary travel. 15. Pestilence (The Four Horsemen, #1) by Laura Thalassa (4 stars) – a bit twisted and angsty, steamy and slow-burn NA paranormal romance and an addictive guilty-pleasure read. *Note. Just look at that cover, one of the reasons I got this book, but sadly they have changed it. 14. The Queen’s Wing (The Queen’s Wing, #1) by by Jessica Thorne (4 stars) – an imaginative, action filled, and heart-breaking YA fantasy space opera. *Note. I received an ARC from NetGalley, which I’m happy about as I got a chance to read this beautiful debut. 13. Everless (Everless, #1) by Sara Holland (4 stars) – an imaginative and intriguing YA fantasy debut. This was also the first book I read in 2018, so quite a successful beginning of my reading year it was. 12. Wicked (A Wicked Trilogy, #1) by Jennifer L. Armentrout (4 stars) – an exciting and fun NA paranormal romance with fae and their hunters stalking those pages, with danger and secrets hiding in those pages, with love and friendships blossoming in those pages. 10. Bring Me Their Hearts (Bring Me Their Hearts, #1) by by Sara Wolf (4.75 stars) – a captivating, magical, dark and fun YA fantasy romance, and kind of a twisted take on fairy tale retelling. 9. Shatter Me (Shatter Me, #1) by Tahereh Mafi (5 stars) – a beautifully and exquisitely written, heart-shattering YA dystopian romance. *Note. Oh, I’m so team AAdam all the way because in my eyes Warner was not completely redeemed. Also the covers on these books are just a work of art. 8. The Darkest Star (Origin #1) by Jennifer L. Armentrout (5 stars) – a fun, addictive, intensive YA paranormal romance. *Note. This is a spin-off of Lux series, if you wan’t the best experience reading this book then read all of the books from the original series first. 7. Kiss of the Royal by Lindsey Duga (5 stars) – a cute, fast paced and entertaining YA fantasy romance debut, where mix of twisted fairy tales and mythology was entwined together with action, danger, romance and uniqueness of this magical world. 6. A Pack of Blood and Lies (The Boulder Wolves #1) by Olivia Wildenstein (5 stars) – a fast pase, action induced, intriguing, intensive, swoon-worthy and sweet YA paranormal romance and the best werewolf book I have ever read. *Note. I received an ARC from NetGalley, and am I glad that I did, because I found this amazing book. All three books in this trilogy will be available in 2019. Expected publication of A Pack of Blood and Lies is April 18th 2019. 5. Legendary (Caraval, #2) by Stephanie Garber (5 stars) – an exquisite, magical, intriguing and beautiful YA fantasy romance with lyrical writing, twists and turns, dangers and mysteries lurking behind those pages and a very enjoyable read. *Note. The synopsis is of the first book in this series. 3. Origin (Lux, #4) by Jennifer L. Armentrout (5 stars) – an action packed, swoon-worthy, intensive, addictive, and steamy hot YA sci-fi romance with heart-stopping suspense and aliens sizzling throughout the pages. One of the most enjoyable guilty-pleasure reads. Expect to fall in love. *Note. This was one of my book hangover induced re-reads because this exciting and incredible world can get me out from deep under any reading slump or book hangover. The synopsis is of the first book in this series. 2. A Court of Mist and Fury (A Court of Thorns and Roses, #2) by by Sarah J. Maas (5 stars) – a steamy, incredible, swoon-worthy, wonderful and exciting NA fantasy romance filled with action, danger, magic, friendship and love. *Note. I fell in love with Rhysand in the first book and still loved him in this one as well. The synopsis is of the first book in this series. 1. Dance of Thieves (Dance of Thieves, #1) by Mary E. Pearson (5 stars) – an amazing, beautiful, captivating, exciting, refreshing, imaginative and swoon-worthy YA fantasy romance with secrets, danger, assassins, royals, villains, a legendary thief and the best male MC ever. Characters that won’t disappoint, romance that is slow-burning and sweet, and heart-stopping ending that will make you crave the next book as crazy. THE FEELSSSS… I LOVED it all. ‘Dance of Thieves receive the title of the best fantasy and sci-fi book 2018. So here you go, this is my TOP 20 fantasy and sci-fi book list. From 125 books that I read in 2018 (yup, I had a great reading year), 45 were fantasy and sci-fi, even though I didn’t read as many FSF books as usual this year, it’s still my favourite genre, especially, Young Adult fantasy. Which were your TOP fantasy and sci-fi books read in 2018? Have you read any of the books in this list? If yes, then what were your thoughts on them? If not, are you planning to?